Have pity on Thomas Waber. As head of the InsideOut Music record label which is releasing Spock’s Beard’s new album, Thomas reportedly had the unenviable job of choosing which songs made the cut for the main disc of the new album and which ones were relegated to the “cutting room floor” bonus EP. Unfortunately for Thomas, out of the dozen songs which were vying for attention, nary a one of them was a dud or stuck out like a sore thumb to get nixed from the main album. Happily, Thomas’ burden is our gain, and ultimately becomes irrelevant because all versions of the new Spock’s release includes the bonus EP. All twelve gems will be yours and you won’t want to miss a single one. 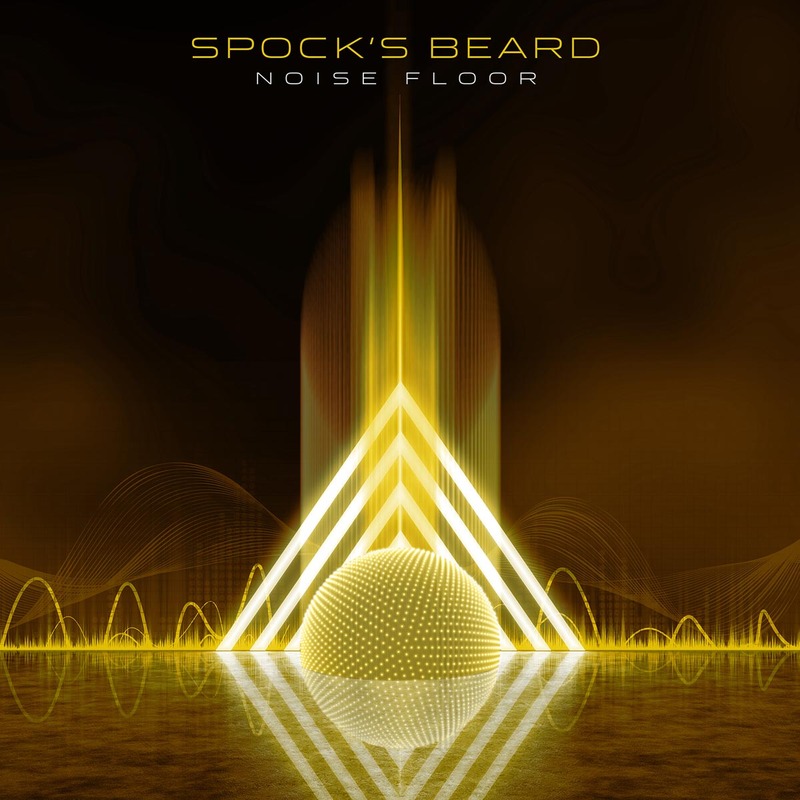 Noise Floor is album number three for Spock’s 3.0, referring to the third incarnation of the band with a new lead singer. 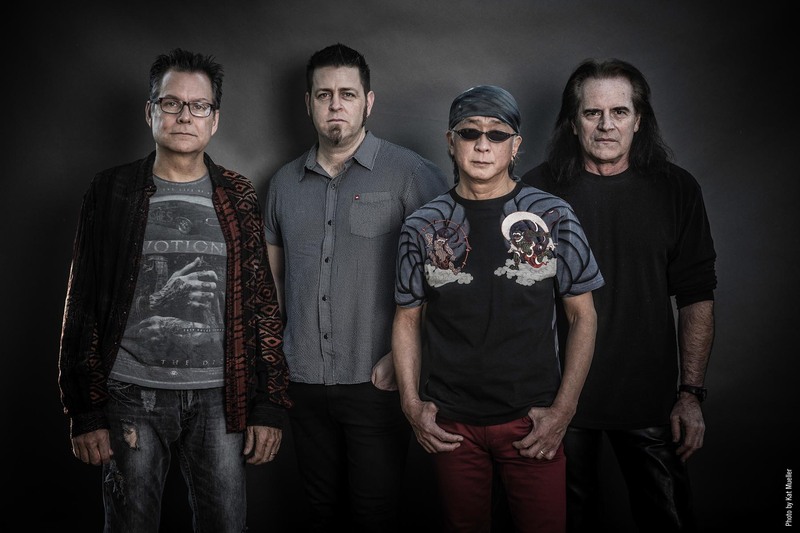 Following the departures of Neal Morse and Nick D’Virgilio as the previous front men, Ted Leonard confidently took the reins with the tour de-force Brief Nocturnes and Dreamless Sleep in 2013. Fans of that album will find much to love on this new release, too. Indeed, Ted continues to be the star of the show, which is quite a feat given his predecessors and the stellar musicianship provided by this seasoned band. However, the personnel features one prominent shift from the two previous albums: drummer and backing vocalist Jimmy Keegan is absent. 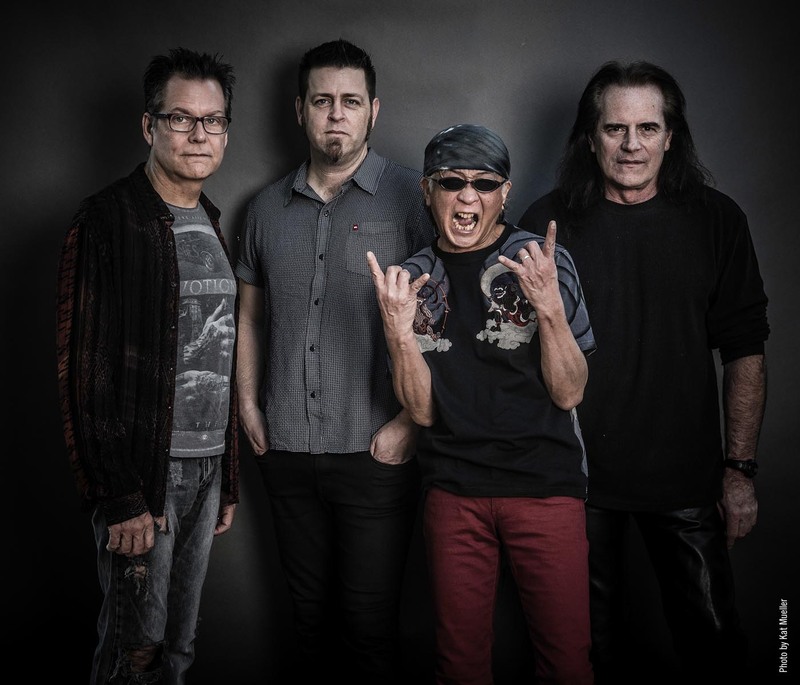 Big shoes to fill indeed, and the only logical solution (to quip the band’s namesake) is to return to their roots and bring original member Nick D’Virgilio back to the drummer’s seat. Sadly, Nick’s current schedule does not allow him the possibility of officially being a full-time member of the band (and he most likely will not be able to tour with them in the near future), but you wouldn’t know it from listening to his performance on this album. As usual, he goes all out and returns to the Spock’s fold seamlessly. It’s the first album on which Ted has fronted the band with Nick manning the drum kit, but feels as natural as if this had always been the lineup. Unsurprisingly, the production throughout is immaculate thanks to long-time engineer Rich Mouser and the collective band studio skills. You won’t find a finer sounding band thanks to Rich’s knowledge of the members’ playing style and how to bring out their best performances. Much of the recording was done at Nick’s “day job”, Sweetwater Studios, so they likely had all the toys they could want at their immediate disposal. The songwriting is strong throughout, provided by the band members and their regular contributors John Boegehold and Stan Ausmus. None of the material here may reach the Top 10 Spock’s songs of all time, but they all hover within a good to excellent range which will stay in your active playlist for quite some time. As with most good progressive rock, the album will grow on you with repeated listenings and by spin #4, you’ll be hooked. Many fans will have initially heard the first single which opens the album, “To Breathe Another Day”. To those who wonder if the rest of the album follows in a similar style, this punchy rocker is an accessible launching point but also is the least interesting track on the album, musically speaking. Spock’s is much more than a power-chord band and fortunately after this opening salvo, there is a wealth of quirky prog-rock material ahead. “What Becomes of Me” starts heading down that path with Dave Meros’ inimitable bass playing, but it’s not really until the third track, “Somebody’s Home” that the album earnestly starts taking off into Spock’s stratosphere and continues for the rest of the album proper. Ted frequently shines on strong choruses with extended vowels, and this track is a prime example for his vocal chords to stretch out on, as acoustic guitars mix with English horn, violins and cello before the bass and electric guitar reinvent the main theme. Next up is one of the highlights of the album, “Have We All Gone Crazy Yet” which employs a classic motif of the Beard: to feature a simple reoccurring theme that deepens with each repetition. Alan Morse shines with his trademark finger-picked electric guitar solos. Although this is the longest song on the album, it clocks in at just over 8 minutes. As far as extended epics go, this album literally comes up a bit short, but there’s no denying that the material is more accessible, very catchy, and still features plenty of the epic prog that the band is known for. “So This is Life” breathes fresh air into the Spock’s Beard catalog, lodging somewhere between Jellyfish and Neil Young. Richly layered with harmony vocals, it also features intoxicating rock star guitar soloing from Alan Morse. This gorgeous ballad would make a surprise left-field contender for a hit single and is one of the sweetest treasures to be found on Noise Floor. Back to the classic Spock’s sound, “One So Wise” hits all the right notes and is a progressive rock tour-de-force. The song retains most everything that fans have come to love in the band, including scorching keyboard and guitar solos, and is yet another highlight of the album. Somehow it lacks any memorable chorus whatsoever but that doesn’t stop Ted from wailing like it’s a lost Kansas classic. To find the album’s strongest chorus we need to go to “Bulletproof” which will stay in your head for days. Again, the Jellyfish influence is present in this most triumphant of songs. However, this short single has strangely been relegated to the bonus disc, so it likely won’t be hitting the airwaves anytime soon which is a shame. The same could be said for “Vault” which mixes electric shredding, cascading organ and acoustic riffing for a single-worthy pop/prog song, but it’s apparently not enough to secure a spot on the main album. There are two instrumental prog freak-outs on the double disc, though it’s hard to decide which one is more satisfying. Safe to say, the band got a good workout playing with their “Box of Spiders” and bonus track “Armageddon Nervous”. Nick proves that he’s got the chops to be back in the hot seat, and Ryo also particularly comes to the fore on his array of rockin’ keyboards. Leave it to the Beard to end an album with a track called…“Beginnings”. It’s a transcendent finale with an almost “Afterglow” arpeggiation. Ted’s soaring vocals finish the album proper on an uplifting note, Alan’s guitars fading out into the cosmic ether during the final seconds. Wow, what a closer. Which returns us to the beginning as well…how to choose which songs are on the “main album” and which are on the “bonus EP”? And why split them up at all, considering that the total run time would easily fit onto one disc, most of the songs are equally strong, and this isn’t a concept album which would demand that the extra tracks be separated from the main concept songs (as on Porcupine Tree’s “The Incident”)? Ultimately, it is likely purely a decision based on flow, the thought being that a shorter, more concise album of 50 minutes will be easier for the average listener to embrace than a sprawling 70 minute single disc. Fair enough. Which brings us back to Thomas who had to decide what goes where…even if the why is somewhat obscured. The simple solution is to leave the “why’s” behind and enjoy all the wonderful music presented. As Spock’s Beard continues to impress after 13 studio albums, happily none of this “Noise” deserves the cutting room floor. The Beard get lucky with album #13, continuing their arc as one of contemporary prog-rock's most celebrated bands. Exquisitely performed and produced, "Noise Floor" features plenty of hooks and ear worms, amidst their usual quirky approach.